Update 3.3 is the start of SEMC’s aforementioned 2018 road map, with optional joystick controls and voice chat being added. Additional refinements to the UI were highlighted in the Vainglory 3.3 update notes. 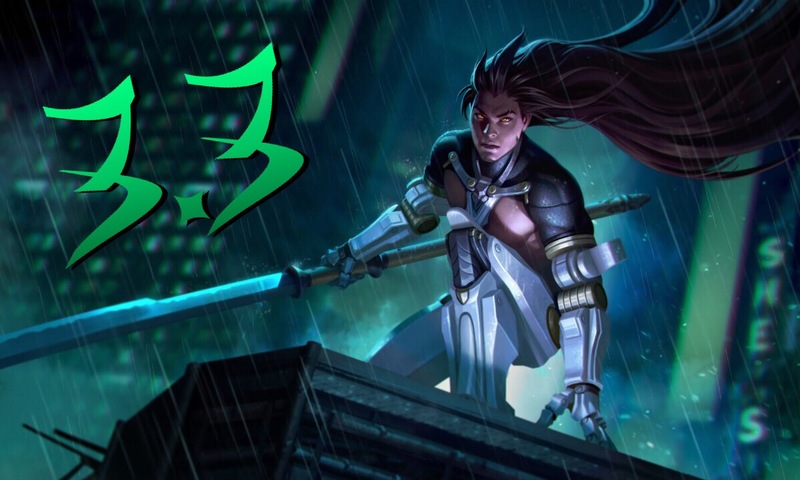 In addition to the new hero Kensei, Vainglory 3.3 brings a fresh sheet of gameplay, hero, and item balancing to the Fold and Rise. How will these changes have an impact on the upcoming meta? Kensei joins the hero pool in Update 3.3 to slash away pesky tanks. Healthy foes beware — his attacks deal more damage to beefier opponents. Kensei has a choice between combating on the frontline (often against a utility-based enemy) while absorbing damage from his heroic perk’s barrier or diving onto the backline with his gap-closing abilities to first devastate ADCs. Read up on our full Kensei hero reveal to gain an edge over your opponents during the first few days! Ghostwing’s buff is still game-changing, providing the team with the buff a great chance at winning. This nerf will bring that power down a little, making it so teams cannot push down lanes as easily. Baron will now be able to reposition himself more often in fights. Along with his basic attack damage buff in Update 3.2, Baron will be much more viable. However, without a nerf to the current meta bottom laners, Baron may not see any competitive play in 3.3. The cooldown decreases on Blackfeather’s A and Ult abilities will make both his weapon and crystal builds stronger, allowing Blackfeather to execute enemies and dash in-and-out of fights more often. Blackfeather will continue to be a meta top laner and jungler in 3.3. In 3.2, Celeste was a priority pick/ban. Lowering the base damage and crystal ratio of Heliogenesis will make her feel more balanced in Update 3.3. In addition to this, cross-mapping her Solar Storm Ult ability will require more precision, making players predict further in advance to have the same amount of effectiveness. Churnwalker now has a more reliable Hook and Chain in trade for 1% less damage per second at all levels. Churnwalker will continue to synergize with AoE damage-reliant heroes, as the nerf reworks his ganking potential from higher early game damage to his ability combos. Glaive’s buffs make three different parts of his kit stronger. His base attack speed will feel faster as the game progresses, allowing him to opt for more damage-oriented items in the early and mid game. Glaive will see more competitive play, and as the meta develops, he may become a priority pick/ban for most teams. Idris spikes a bit later by not allowing him to achieve his ranged attacks and bonus damage until he can purchase statistics equivalent to six Crystal Bits (CP) or a Sorrowblade (WP). 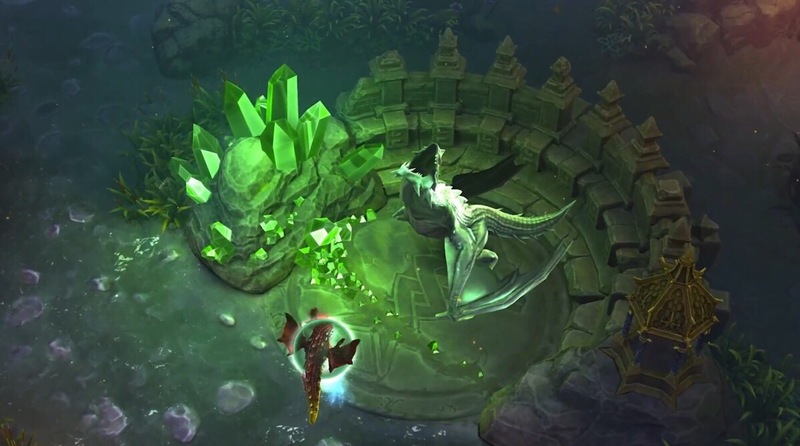 Taking that specific crystal itemization will also force Idris to sell one of the crystal bits, unless he opts to build regularly and push back his spike until even later. In an attempt to have players move away from her crystal path, Kestrel’s weapon path was incentivized with increased damage. This will make both damage paths viable in the meta, instead of one overpowering the other. They will both feel strong in 3.3, making Kestrel an early flex pick in drafts. Koshka will feel less annoying when she gains movement speed from a jungle camp and immediately jumps out for a gank. Players will have an increased reaction time, which will help balance out her high damage output. Krul will be a lot less punishing in the early game. Securing a kill will be more difficult to accomplish compared to his 3.2 early game, but he will play the same in the mid and late game. The return of weapon Lance? Lance received a multitude of buffs, and all of them make Lance more viable in the 3.3 meta. From his attack speed scaling to his new and improved weapon ratios, Lance will feel like he just came back from a long day in the weight room … and with an upgraded lance. Lyra’s damage output was rerouted for stronger empowered basic attacks when building crystal power. On the other hand, her A ability will not feel as strong when activated, especially in the early game. This will not affect captain Lyra unless she builds crystal items. This is a much needed nerf to Malene, who was a priority-ban on the B-side of drafts. She will not be able to transform as often, making it so she cannot use her form-switch empowerments (which also received a nerf) every 1-2 seconds with Clockwork. Hopefully Malene will see more playing time in drafts, as players continue to learn how to counter her. Ozo, who is already strong, received new weapon ratios on his A ability that will encourage more players to give him a try. So… go give him a try! Harder hitting weapon damage also transcribes to higher healing amounts. Reim’s movement speed buff will help him fit into the fast-paced meta of Vainglory’s 5V5 mode. His increased crystal ratio will also make him more rewarding in the mid and late game, which is the buff he needs if he will be played in the meta. Players should watch his place in the 3V3 meta, where his drawback is one-on-one mobility counters. While there are no damage changes, Reza will offer more utility in fights with a new effect on his Ult ability. Additionally, he can close gaps more often when he has both charges of Troublemaker available to use. Ringo has not been a priority pick in a long time; however, with a health buff and a cooldown reduction on his B ability, he may become a more reliable pick in the bottom lane. Although certainly not on the level of Vox (who, surprisingly, didn’t receive a nerf in 3.3), Ringo may be picked more often as the 3.3 meta develops. Yet another nerf is crashing down on Rona. Rona was a situational meta pick in 3.2, but the weapon ratio on her B ability has been toned down. Despite her nerfs, Rona will likely see play as a frontline tank that does not deal as much damage. As expected, Skaarf received significant play time in the competitive scene after his round of buffs in 3.2; however, his Ult ability was underutilized. With a damage rework bringing higher potential to his Ult, players who can position well to breath havoc onto his enemies will be rewarded. Landing Atlas Pauldron will be more rewarding against players building more attack speed. This may open up Atlas to be purchased as a second item on captains rather than a third or fourth item. Purchasing Frostburn early on will be more beneficial with its increased crystal power stat and thus providing a stronger slow. You’re welcome, Skye. Infusions will still be essential, but lowering the damage gains provides teams falling behind with a slightly longer window to fight back against snowball compositions. This mid-to-late game nerf to Spellfire will make crystal carries look at other items as a first purchase. To be as effective, Spellfire now requires more damage to be bought. Taka! What have you done? After a hefty nerf in 3.2, Stormcrown is receiving another nerf in 3.3. Stormcrown will be even less effective when taking objectives, and may become obsolete on captains until it is buffed. Tension Bow is being used by many weapon jungle and captain heroes in the top lane for early game damage before they invest in defensive items. This nerf will likely bring the focus back to jungle carries who seek an early game power spike. Vainglory is introducing the new in-game voice feature in Update 3.3. This will only be made available for players who have made a purchase within the last 30-days. If you’re strictly free to play, fear not — voice chat will become available to everyone in Update 3.4 at the start of the Summer season. The new addition of the joystick control option will open up Vainglory to a brand new player base. 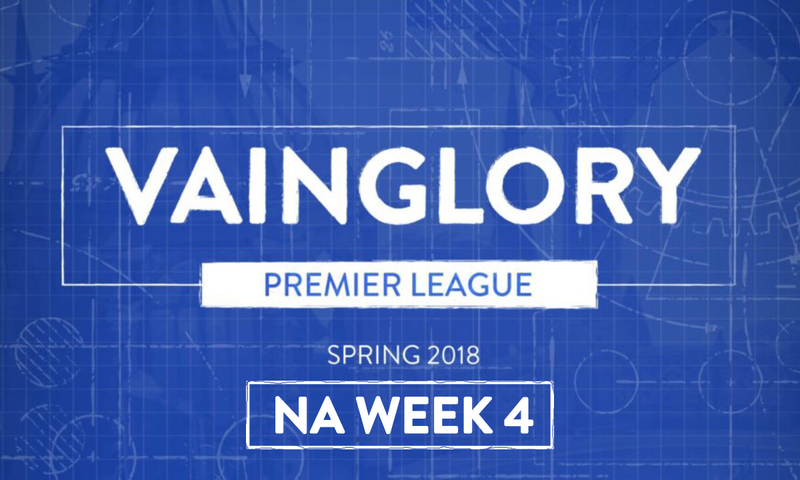 It will be exciting to see a new wave of players try out Vainglory and hopefully stick to the game as they move up the ranks. Editor’s note: Bear in mind that joystick is and will always be an optional control scheme. Some audiences in EA, CN, and SEA (the largest gaming markets) are dedicated to joystick controls, and SEMC hopes to win these crowds over in 2018. Data was taken over the course of the last few months to ensure this was a worthwhile feature for implementation. Supporting SEMC in this development is incredibly important to grow Vainglory in the coming years. Blackfeather and Glaive both received buffs, making them contenders for the top lane position in competitive play. Adagio, Idris, and Reza will remain strong top laners as well. Malene and Celeste, although they have been toned down, will still be meta picks in Update 3.3. Skaarf, a newcomer to the meta, will also be a viable meta pick in the mid lane. Vox and Gwen will continue to dominate the bottom lane as the priority picks for the position. Baron may be an underdog in Update 3.3 and has the potential to be a great pick in the meta. Rona’s slight nerf may push her out of the bottom lane meta; however, she may still be a solid pick in the jungle. 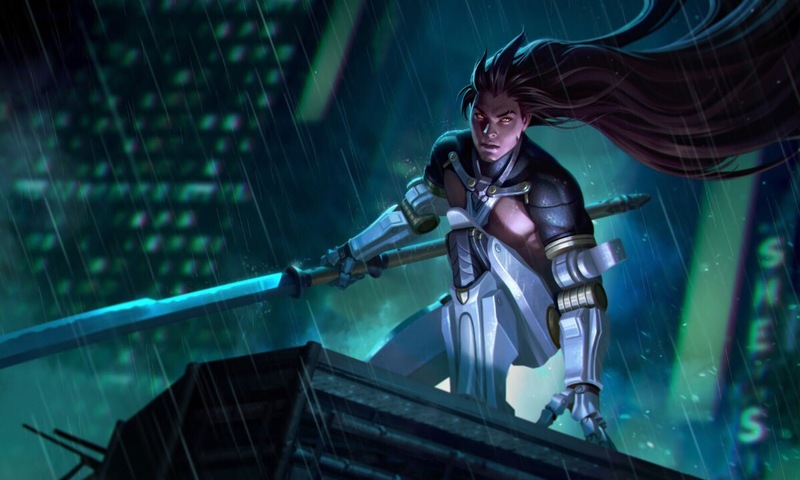 Idris, Kestrel, and Glaive will continue to wreak havoc as junglers, with Glaive being the standout hero and becoming a priority to pick or even ban. Lyra did not receive nerfs to her ability cooldowns and healing, which will keep her in the priority captain spot. Tony and Ardan were neutral in the update notes this time around and will be meta captain picks during Update 3.3. Update 3.3 activation is slated for Wednesday, May 16th at 8AM PDT / 15:00 GMT / 23:00 SGT. If you have any questions about Kensei or the balance changes, ask away in the comments below, and we’ll be sure to answer them! Proud Vainglory community member and pro analyst. Reim is still useless on 5v5? RIP SC Taka. 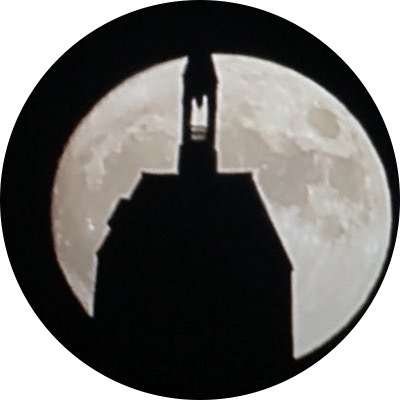 You will not be missed.